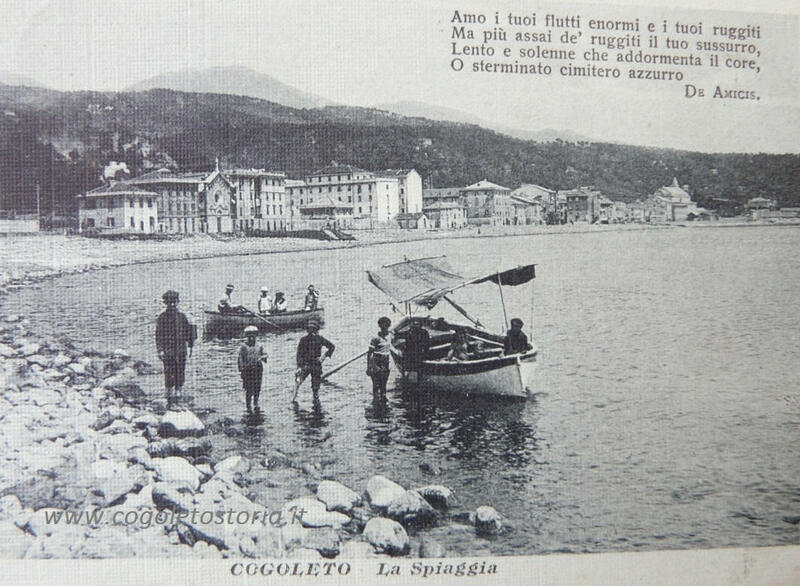 The name Cogoleto seems to date back to ancient times and to fabulous and legendary narratives. In fact it is supposed to have originated from the Latin phrase ” coquere lithos” (cook the stone). 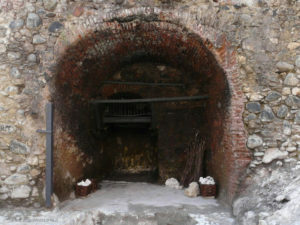 This is why according to a local tradition, since Roman times if not even tweak prehistoric times, the inhabitants, after painstakingly dissected the surrounding hills and crushed limestone, were going to a knowing and thorough cooking of the limestone itself in the many local furnaces, turning it into valuable and appreciated lime. So from “coquere lithos” came the name Cogoleto. 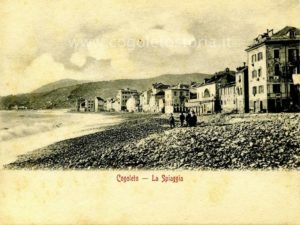 Another hypothesis, suggestive but also plausible, is that proposed in the nineteenth century by father Spotorno in a publication concerning the origins and birthplace of Christopher Columbus. 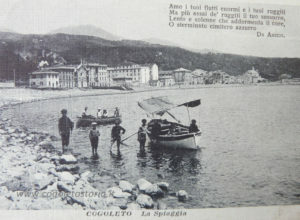 According to Spotorno the origin of the name Cogoleto is related to the particular characteristic of the beach of the seaside village. Codoledo – 1039; Codoleto – 1156; Cogoleto – 1184; Cugureo in manuscripts and publications of XV – XVI centuries related to Christopher Columbus, the discoverer of America.